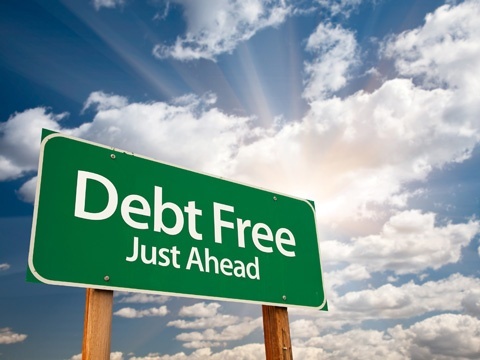 New Life Sanctuary is offering a free class “Living Debt Free” on Friday, February 27th from 7 to 8:30 p.m.
Tamara Munson, a professional accountant and church member will teach the basics of Living Debt Free, to help encourage you in financial management. Tamara Munson is an accountant who has been working in the accounting and financial services industry for 16 years. She obtained a Bachelor’s degree in Finance from Campbell University in 2002, a Master’s in Management and Leadership Development from Armstrong Atlantic State University in 2008, and a second Bachelor’s in Accounting from Georgia Southwestern State University in 2011. Her experience includes advising individuals and businesses on investing, accounting, banking, mortgage and taxes. She currently works for a private CPA firm in Savannah where she completes local government audits. In addition, she continues to provide personal and business financial and accounting services. New Life Sanctuary is offering a FREE Budgeting Basics Class, this Friday, February 20th from 7 to 8:30 p.m. There will also be a second free class “Living Debt Free” on Friday, February 27th from 7 to 8:30 p.m.
Tamara Munson, a professional accountant and church member will teach the Budgeting Basics class, to help encourage you in financial management. What is a budget & why do I need one? How do I create an effective personal budget? In our Christian walk we must exchange a life of SIN for a lifestyle of SYN. Although these two words sound the same, they aren’t. The general Greek word for SIN is “Hamartia,” which means “to miss the mark” (as in an archery competition) and therefore fail to receive the prize, or blessing. This is word is used 221 times in the New Testament. “Wherefore seeing we also are compassed about with so great a cloud of witnesses, let us lay aside every weight, and the sin which doth so easily beset us, and let us run with patience the race that is set before us…” –Hebrews 12:1. Examples: The word “Synagogue” means “gathering together.” When Jews come together to worship, they come to the Synagogue. The word “Synoptic” means “seeing together.” The Gospels of Matthew, Mark and Luke are referred to as the Synoptic Gospels because they include many of the same stories, often in a similar sequence and in similar wording. John’s Gospel is distinct. It reads differently. It’s theological instead of historical in intent. The word “Synergy” means “working together.” The effect of synergy: the creation of the whole is greater than its individual parts. The life of SIN brings spiritual death and separation from God. The lifestyle of SYN produces coming together in love and good works. “Let us hold fast the profession of our faith without wavering; (for he is faithful that promised;) And let us consider one another to provoke unto love and to good works: Not forsaking the assembling of ourselves together, as the manner of some is; but exhorting one another: and so much the more, as ye see the day approaching….” Hebrews 10:23-25. Gather together, see together, and work together. Sounds like good church to me!